With the next Round Up planned for October 2018 in Tamworth, we're guessing that some people are already wondering if it's worth allocating some of their precious holiday time to, so thought we should put some information up for the uninitiated who haven't attended any of our previous events. For those that have been to our past events in Tamworth, you already have a pretty good idea of what happens, as we're sticking pretty much to the same template, although the daily runs will be different (in most cases) and of course there will always be a few little tweaks here and there. We try to make it as casual and friendly as possible, and of course the best thing about it is the chance to catch up with fellow Mokers from far and wide. It's a five day event, but of course there's no obligation to do the full five days if you can't spare that much time. We'll get a program of events up within the next couple of months once we work out the details, so that people can see which days they prefer. The thing that makes it different to most other car events/shows is that the Round Up is primarily a driving event! 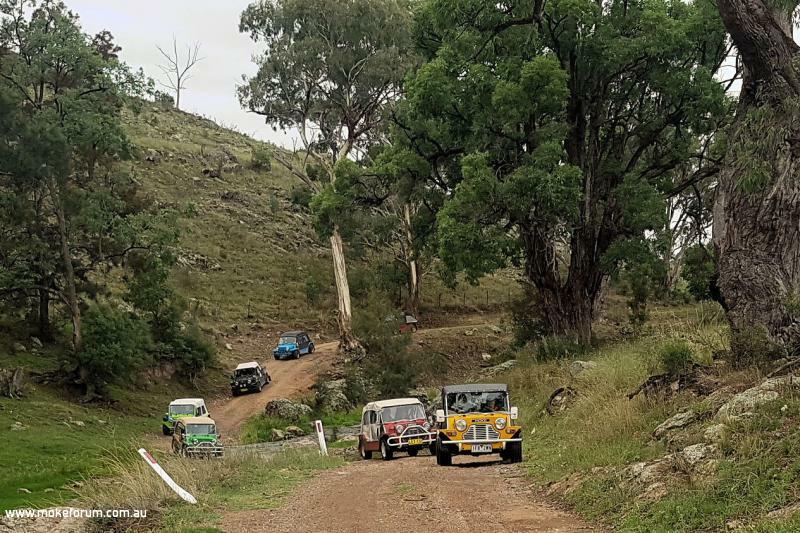 Each day we will be taking the group for a tour around the surrounding countryside for what we hope are interesting, scenic routes to a good spot for lunch and then a nice easy run back home via a different route wherever possible. We like to take plenty of breaks along the way where possible and the total daily km are usually only between 200 and 300km, so there are never just hours of straight driving. 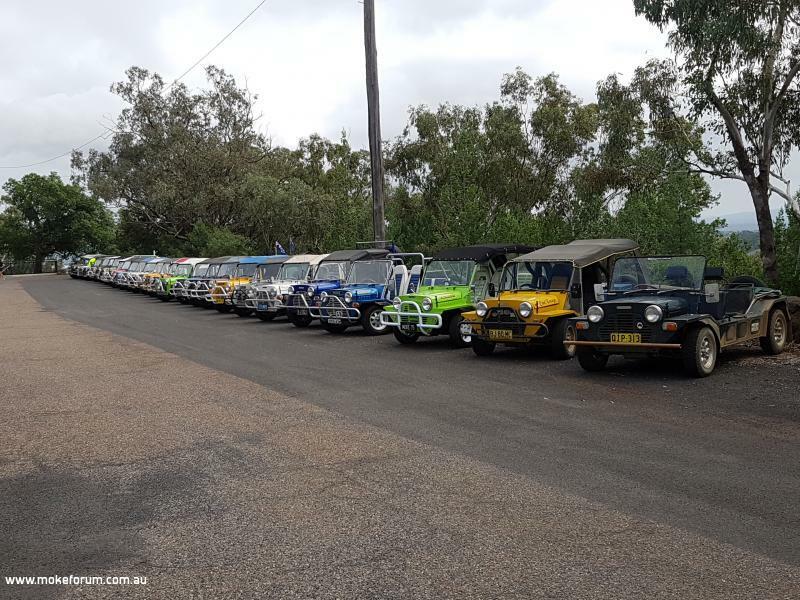 The whole idea of the event is to give people the chance to get out and drive their Mokes with like minded folk, as well as the social aspect of spending time with each other during and after the daily runs. Hopefully we can also provide some nice roads and scenery along the way which are different to what most of you get at home. 1. 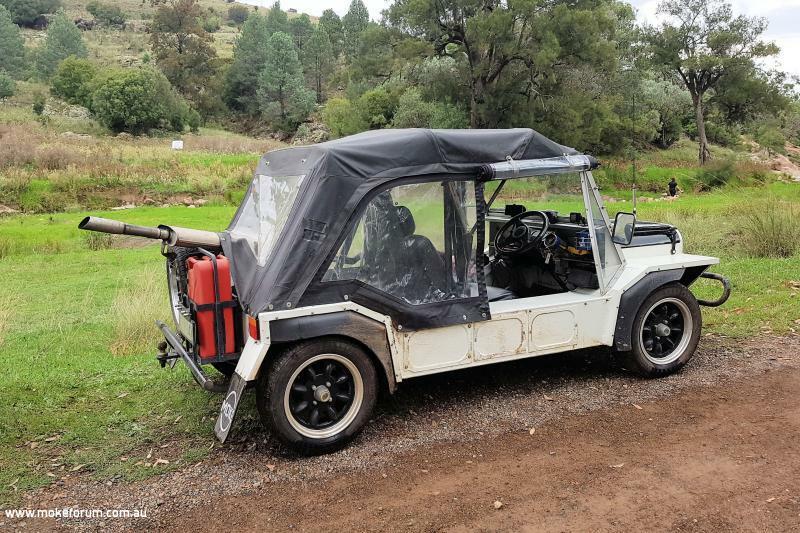 We are not in a big metro area, or on the coast, so most of our interesting local Moke roads and destinations involve some degree of driving on unsealed roads. We go to a fair amount of effort to use routes and sometimes destinations that your casual tourist would have difficulty finding. If you come with us on the Wed, Thurs & Friday runs, be prepared to get at least a little bit dusty and/or muddy. The exception to this is the Saturday and Sunday morning runs, which are all bitumen so that everyone can feel free to join in. Actually the other exceptions are a couple of rougher dirt side tracks we have for the more adventurous. These come with more of an "all care but no responsibility" warning, but everyone will be well and truly warned about these before we go. We typically only take a small group on these routes and there will always be a more regular route available for the main group. 2. You are under no obligation to go on every run. We have found many people in the past opt to take a day out for themselves at some stage. 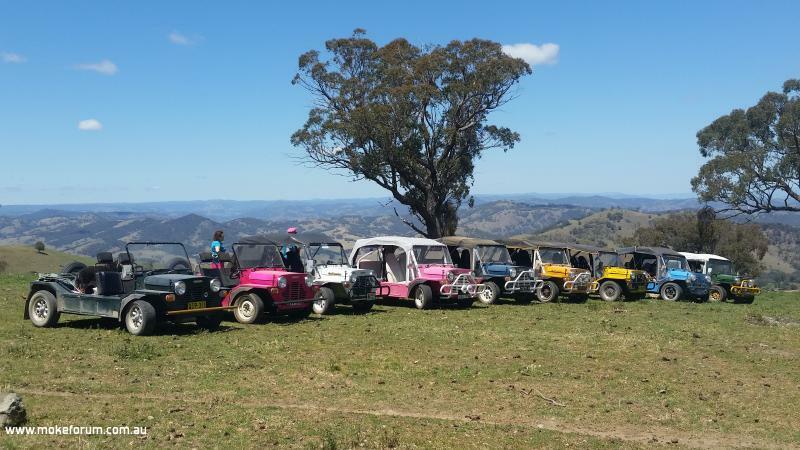 If we are going places you'd rather not take your Moke, there are nearly always spare passenger seats available, but there are also plenty of things to do to fill in a day on your own or with friends in Tamworth. Greg (KMC) and myself have both been in the area for many years and are happy to point you in the right direction if you want to do any solo activities. Please be assured we won't be offended. 3. Whilst not a requirement by any means, we strongly recommend you stay at the Austin Tourist Park (aka Moke Central) if at all possible. This will ensure you get the most out of the event as there is a lot of socialising that goes on between runs. Don't panic though, we're not tour operators that will force anyone to come and join in if they don't want to. We'll let you know what's happening and it's up to you if you want to participate. If you just want to take a break in your cabin or go off on your own, that's fine. The vast majority (close to 100%) of attendees at past events have stayed at Austin, and we can't recall anyone ever regretting the decision. Everyone who has attended more than one event has always come back to stay at Austin and I think would back up our recommendation. 1. It's not a Show n Shine style event. There will be plenty of opportunities before and during the daily runs for photos and admiring everyone else's Mokes (and showing yours off ). We will also have a final gathering on the Sunday morning for maybe an hour and a half which we would appreciate all Mokes attending. This is where those that feel inclined, can wash and polish their Mokes to whatever standard they feel is appropriate, but there will be no competition and no trophies handed out. 2. We don't really have any organised activities as such, apart from driving trips. Rocker cover races, trivia competitions, scavenger hunts etc are all great fun, but not part of our event I'm afraid. We have found during the past three RoundUps that we really don't have time to organise or run them, and quite honestly people seem happy without them. 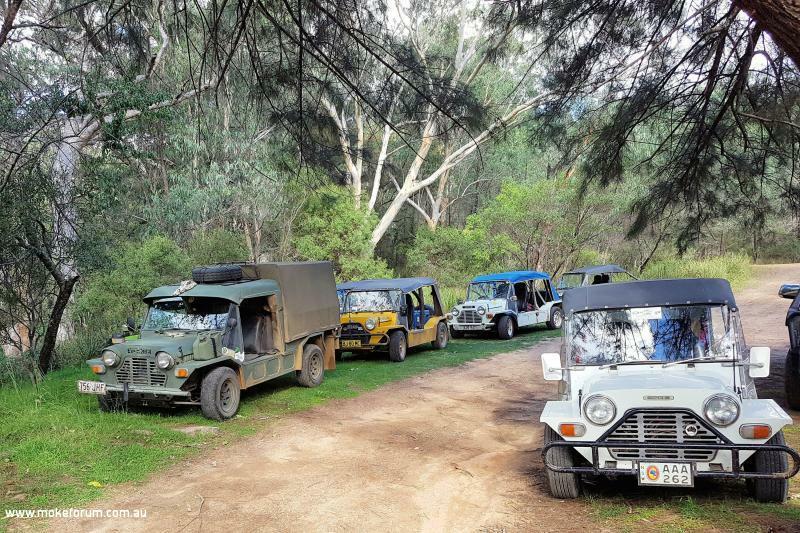 After doing the daily drive, people are quite content to get together at the Moke Central Camp Kitchen for a few nibbles and drinks and then tend to make arrangements with old friends and new to do something for dinner. Those that are interested then tend to drift back for after dinner drinks and chats. We like to think of it more like a group of friends getting together, than an organised event where people demand to be entertained. 3. We don't have any big event dinner. Again, we have found that in general people are happier doing their own thing. Mokers are a hugely diverse group of people. You have young singles, older singles, couples with and without kids, and retirees, all with varying budgets and lifestyle expectations. Trying to arrange a dinner that pleases everyone is quite difficult and we really find it unnecessary. So that's the basics. Any other questions, please ask.